Looking for reviews like this? Do you have the best hotel in the area, hands down, but don’t seem to be as busy as you’d like? Competition is fierce, we get it. When it comes to lodging and accommodations, there are so many choices! These days, you need to make your hotel stand out. Guest reviews are a great way to do so, especially since everyone does their research before booking a hotel. People want to hear what others have to say about your place before they spend the money. Some do a ton of research, others quickly choose. The one thing we do know about their research is they certainly look at the guest reviews and guest ratings. A few bad reviews can tank your hotel and ensure people will skip that option. Here are 5 great ways to get those amazing hotel reviews that will help your accommodations stand out from the rest. The first step to getting a great hotel review is to get the guest into your hotel. So how do you get them in the door? Optimize your hotel website – be found first, top of the list, and really let your value show. Set and track your goals. Watch your analytics to ensure you stay at the top of the list and if you see yourself slipping, doing a bit of investigation as to why. Investigate: Who are your competitors? What are the keywords your customers are searching that you should be targeting? Based on your findings, adjust accordingly. Re-optimize as needed. Need some help with SEO for your hotel website? At Mannix Marketing, hospitality marketing is one of our specialties. Learn more about the optimization services we offer for hotels and other businesses here. Once they’ve chosen your hotel, make their experience so great that there is no question they will leave a great review. It’s not that hard for people to write a good hotel guest review if they’ve enjoyed staying with you. Make sure they receive good customer service, a clean room, and the amenities needed – and expected – when staying away from home. Even simple gestures like offering free cookies (or cake) in the lobby as a “happy hour” treat can go a long way. Is it Silly or something else? However you remember this, make things simple and easy for your customer. Make writing the review easy and ensure that the process is straightforward. Create uncomplicated survey forms or emails with links directly to the easy questionnaire. Keep it short and sweet. A good hint is to allow the review to be changed if there is an issue you fix to help satisfy the customer in the end. Keeping it simple still, when happy guests are checking out, ask them if they would be willing to leave a review of their stay. The simple act of asking in person can be much more powerful than following up with a generic and impersonal email after they’ve left the premises. Plus, if they tell you they will leave a review for you, there’s a much greater chance that they will actually follow through in doing so. It doesn’t hurt to send a personalized follow-up email after the initial ask – especially if that email includes a direct link to the place where the guest can leave their review. Sometimes a gentle reminder is the encouragement a customer needs to take the next step and offer their valuable feedback. Make sure you monitor your hotel reviews to see where they are coming from, how often they’re coming in, and what people are saying. Respond to the good AND the not-so-good. We know it may not be feasible to reply to everything but certainly address any negative feedback. Try to reply to the positives as much as possible. The negative feedback may be from a misunderstanding or truly a negative experience that you should take and learn from then adjust how you run your hotel. Change that experience for the next person. Better yet, make the change and invite that customer back to see the improvements you’ve made based on their experience. 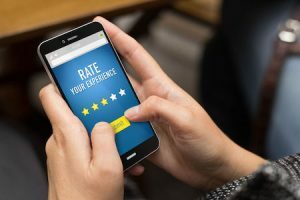 Responding to reviews lets your customers know you truly care about their feedback and that you’re paying attention, which can help to build loyalty. Start Collecting Hotel Reviews Today! Setting reachable goals, optimizing your website, offering great customer service, and asking customers to review your services are all ways to help generate hotel reviews from happy and repeat customers. People will be glad to share their positive reviews with their friends, family and followers – they just need your help making it a simple task to say you have a great hotel. Know you’ve got a great hotel but just can’t seem to get the awareness you need? Looking to show up in searches and get those great reviews? At Mannix Marketing, we can help you improve your hotel’s online presence and give you tips to help you generate those positive reviews. SEO, digital marketing and web design; we’ve got you covered. Call us at 518-743-9424, or fill out our contact form for a 15-minute consultation. With nearly 20 years in the business, Dawn brings her drive and passion to Mannix. Her extensive experience with marketing and high-impact results makes her a great fit to the team. 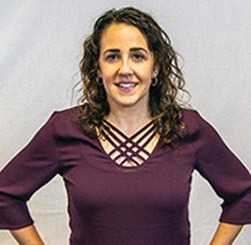 Dawn has a diverse background working in marketing and communications for a top engineering university, a multibillion-dollar company, a non-profit organization and accomplished private firms. She is passionate about educating and improving her clients’ overall company success. Hard work, dedication, organization and high-expectations have paved her successful career.